Criticising the Bharatiya Janata Party (BJP) for the demonetisation drive in 2016, former Finance Minister P. Chidambaram on Tuesday said that the move was not even a single economist across the world. While addressing a National Students' Union of India (NSUI) event here, Chidambaram said, "Show me one economist anywhere in the world who stood up and said demonetisation was a good thing. Not one. On the day PM announced demonetisation, Chief Economic Advisor Arvind Subramanian was in Kerala. He was not in Delhi. He was not event consult. He didn't know that demonetisation is taking place. If CEA doesn't know, what kind of an economy is this?" On November 8, 2016, the BJP-led Centre had invalidated Rs. 500 and Rs. 1,000 banknotes, claiming it was a crackdown on the shadow economy and use of illicit and counterfeit cash to fund illegal activities and terrorism. The move was criticised by several Opposition parties. Earlier this month, a recent study by the Reserve Bank of India (RBI) noted that the Micro, Small and Medium Enterprises (MSMEs) have been adversely hit by the Goods and Services Tax (GST) roll-out and demonetisation, which had a significant impact on the overall credit of the sector. 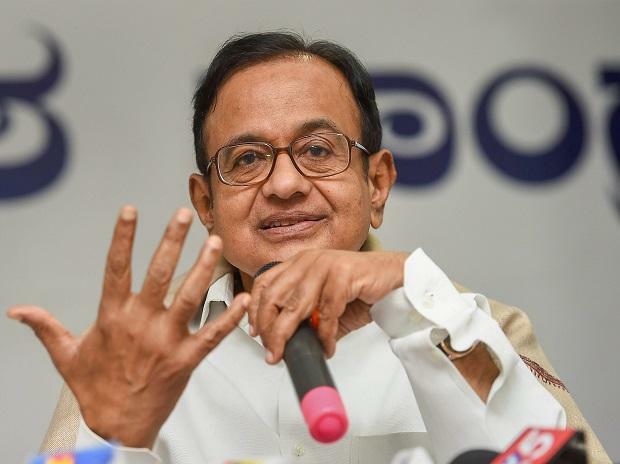 Besidies demonetisation, Chidambaram also raised questions over the Ayushman Bharat scheme. "Ayushman Bharat is an insurance based model. Government says it will pay the premium... Is that the right model for India? I don't think so. The right model for India is the one practiced in Europe - vast expansion of public facilities, more public hospitals, more super specialities, more tertiary hospitals, more dist level hospitals, more primary health centers, more doctors and nurses, more beds and free public health care. That's the way you can treat our 130 crore people. You can't go by an insurance model," Chidambaram said. He added, "Insurance model has been a complete failure anywhere in the world. Even in America, Obama Care - an insurance model, has been seriously questioned. America's per capital is 150,000 dollars and our per capital is barely 1,800 dollars. But, who will tell the government that this is a wrong model?" Meanwhile, Chidambaram asserted that the under former Prime Minsiter Manmohan Singh, the Indian economy was "more competent". "I've seen how President Barack Obama used to sit with Manmohan Singh and listen to him. Not that Obama will accept everything Dr Manmohan Singh says but he wanted to listen to him to know how to run a huge economy," Chidambaram said.